Was Oswald on the TSBD Steps During the JFK Assassination? You are here: Home › Further Reading › JFK Assassination FAQs › Was Oswald on the TSBD Steps? An Associated Press photographer, James Altgens, took a picture which seems to show Lee Oswald standing in the doorway of the Texas School Book Depository during the assassination. It is very likely that the man was in fact Billy Lovelady, not Oswald. A handful of eye–witnesses gave inconclusive descriptions of the gunman. Some of the descriptions matched Oswald but were vague; others did not match Oswald. The one witness on whom the Warren Commission relied heavily was adamant that Oswald’s clothes were unlike those worn by the gunman. Partial fingerprints and palmprints of Oswald were discovered on two cardboard boxes close to the apparent source of the shots, although only one of the prints could be dated to within three days of the assassination. There was a perfectly innocent explanation for the presence of Oswald’s prints: his job required him to handle the cardboard boxes on the sixth floor. Oswald is known to have been somewhere other than the sixth floor shortly before the assassination, which took place at 12:30pm. He was seen by another TSBD employee, Carolyn Arnold, on either the first or second floor no earlier than 12:15, when a witness in Dealey Plaza saw a gunman on the sixth floor. Oswald was certainly on the first floor at 12:23 or slightly later, when he saw two other employees, James Jarman and Harold Norman, enter the rear of the building. Was Oswald Photographed in the Doorway? In several frames of two news films taken by Dave Wiegman and Jimmy Darnell close to the TSBD within seconds of the shooting, a figure is visible in the western corner of the doorway. Although the figure in the films is insufficiently distinct to permit a definitive identification, it appears to be a white man, dressed in a casual work shirt. The figure’s posture has earned it the name ‘Prayer Man’. A professional photographer, James Altgens, was standing further down Elm Street during the shooting, when he took a photograph which shows a man who resembles Oswald, apparently peeking out of the doorway. This man is visible also in the Wiegman film; from the cameras’ point of view, he is standing to the right of ‘Prayer Man’. The identification of Oswald as the ‘Prayer Man’ figure in the Wiegman and Darnell films is by far the stronger of the two claims, and is discussed in a separate article, Who Is ‘Prayer Man’? The figure in the Altgens photograph is much less likely to be Oswald, and is discussed below. The first published photograph of the JFK assassination shows the presidential limousine from the front, with President Kennedy visible through the windscreen reacting to his throat wound. In the background, part of the Texas School Book Depository can be seen. Among the spectators in the doorway of the building, just above and to the right of President Kennedy, is a man who looks remarkably like Lee Harvey Oswald. The photograph in question was the fifth of seven taken at the time of the assassination by James “Ike” Altgens, an Associated Press photographer. It is normally identified as Altgens no.6, after the pre–existing number under the image on the negative. Several versions of the photograph can be found at http://www.jfkassassinationgallery.com/thumbnails.php?album=2. The positions of the cars in the road, and the posture of the individuals within the cars, show that the photograph was taken at a point approximating to frame 255 of the Zapruder film, about three seconds before President Kennedy was hit in the head. According to the Warren Commission’s case against Oswald, the only official suspect in the murder was elsewhere at this instant: 60 feet (18 metres) almost directly above the man in the photograph, aiming a rifle from the south–eastern window of the sixth floor of the TSBD. William Shelley, Oswald’s manager: “as the Presidential Motorcade passed I was standing just outside the glass doors of the entrance … Billy N. Lovelady … was seated on the entrance steps just in front of me” ( Warren Commission Hearings , vol.22, p.673 [Commission Exhibit 1381, p.84]); “several people were out there waiting to watch the motorcade and I went to join them … Billy Lovelady joined us shortly afterwards … just outside the glass doors there” ( Warren Commission Hearings , vol.6, p.328). Sarah Stanton: “I was standing on the front steps of the Texas School Book Depository with Mr. William Shelley … and Billy Lovelady” ( Warren Commission Hearings , vol.22, p.675 [Commission Exhibit 1381, p.89]). Billy Lovelady himself: “I happened to look on the outside and Mr. Shelley was standing outside with Miss Sarah Stanton, I believe her name is, and I said, ‘Well, I’ll go out there and talk with them, sit down and eat my lunch out there, set on the steps,’ so I went out there” ( Warren Commission Hearings , vol.6, p.338). Buell Wesley Frazier: “I was standing on the steps there … I stayed around there pretty close to Mr. Shelley and this boy Billy Lovelady” ( Warren Commission Hearings , vol.2, p.233). Harold Norman: “Billy Lovelady … was sitting on the steps there” ( Warren Commission Hearings , vol.3, p.189). James Jarman: Lovelady was “standing on the stairway as you go out the front door” ( ibid. , p.202). Danny Garcia Arce stated that he went outside with Lovelady and Shelley: “I was standing in front of the Texas School Book Depository. I was on that grassy area part in front. … The other guys … were all in front of the building” ( Warren Commission Hearings , vol.6, pp.365f). He identified Lovelady as the man in the photograph ( ibid. , p.367). Virginia Rackley, who had become Mrs Donald Baker by the time of her Warren Commission deposition, pointed out Billy Lovelady on Commission Exhibit 203, a copy of Altgens’s photograph ( Warren Commission Hearings , vol.7, p.515). No–one claimed to have seen Oswald on the steps. The matter appeared to be settled: Billy Lovelady was the man in the photograph. Shelley and Norman claimed that Lovelady had been sitting on the steps, but the man in the photograph is standing. No doubt Lovelady sat on the steps to eat his lunch, and then stood up to watch the motorcade, as anyone surely must have done to see past the crowd in front of the TSBD. Although the facial features and hairline of the man in the photograph were consistent with both Oswald and Lovelady, the small size of the figure left ample room for ambiguity. The figure is less than half a millimetre wide on Altgens’s negative, and occupies one per cent of the width of the frame. Frazier ( Warren Commission Hearings , vol.2, p.242) and Lovelady ( Warren Commission Hearings , vol.6, p.338) were each asked to mark Commission Exhibit 369, a copy of the photograph, with an arrow to indicate their positions, but the exhibit contains only one arrow. Altgens’s photograph and other images and testimony suggest that there were at least ten people standing on or immediately in front of the steps during the assassination. Only three of them, Lovelady, Shelley and Frazier, were questioned by the Warren Commission about the identity of the man in the photograph. The Commission dealt with the matter very briefly: Warren Report , pp.147–9 and p.644. The Commission published only poor quality versions of Altgens’s photograph (e.g. Commission Exhibit 900), and failed to publish comparison photographs of Oswald and Lovelady. One of the early critics, Harold Weisberg, questioned the FBI’s identification on other grounds. He pointed out that certain features of the shirt in the photograph matched the shirt Oswald was wearing when he was arrested: both shirts were torn, the top two or three buttons were undone, and other buttons were missing; see Harold Weisberg, Whitewash II , self–published, 1966, p.250. For the distinguishing features of Oswald’s shirt, see Warren Commission Hearings , vol.21, pp.467–70. Against Weisberg, it was pointed out that Oswald’s shirt had a different pattern to the shirt in Altgens’s black–and–white photograph, which has a noticeable check pattern (‘plaid’, in US English): medium–toned squares surrounded by distinct light and dark horizontal and vertical stripes. Oswald’s shirt did not have a check pattern, but was a solid mid–brown with thin horizontal and vertical gold flecks. The question is complicated by the fact that Oswald may have changed his shirt between the assassination and his arrest; see Warren Report , p.622 and Handwritten notes of Captain J.W. Fritz’s interview of Oswald, p.7. Even if Oswald had changed his shirt, his original shirt would have been similar to the shirt he was wearing when arrested. Two witnesses mention a brown colour but no pattern (Linnie Mae Randle: Warren Commission Hearings , vol.2, p.250; Marrion Baker: Warren Commission Hearings , vol.3, p.257). Was Lovelady Wearing a Striped Shirt? The matter was further confused by Lovelady himself. The FBI required a photographic record of Lovelady, and asked him to wear the shirt he had worn on the day of the assassination. Lovelady selected a shirt with short sleeves and wide vertical stripes (Warren Commission Document 457, addendum p.2), rather than long sleeves and a check pattern like the shirt in Altgens’s photograph. According to a journalist who had interviewed him, “Lovelady also said that on November 22 he was wearing a red–and–white striped sport shirt buttoned near the neck” ( Warren Commission Hearings , vol.22, p.793f). Or Was Lovelady Wearing a Check Shirt? When Lovelady was informed of the discrepancy, he claimed that he had told the FBI that the short–sleeved shirt with the wide vertical stripes was not the shirt he had worn on 22 November 1963, and that the actual shirt had long sleeves and a check pattern. He told CBS News: “Well, when the FBI took me in the shirt, I told them it wasn’t the same shirt” (quoted in Josiah Thompson, Six Seconds in Dallas: A Micro–Study of the Kennedy Assassination , Bernard Geis Associates, 1967, p.227). Two films resolved the question of which shirt Billy Lovelady was wearing on the day of the assassination. A home movie, shot in colour by John Martin, was rediscovered in the 1970s. The film shows a crowd of people outside the main entrance of the TSBD a few minutes after the assassination. One of the people is unmistakeably Billy Lovelady. He is wearing a long–sleeved check shirt with red squares and white and blue horizontal and vertical stripes. The colour film matched Altgens’s black–and–white photograph. Billy Lovelady was clearly the man in the photograph. One trivial inconsistency remained. In Altgens’s photograph, the top few buttons of Lovelady’s shirt are undone. In most of the published still frames from Martin’s film, taken just a few minutes later and showing Lovelady in profile, the shirt appears to be buttoned up almost to the collar. A viewing of the full film, however, shows that his check shirt was in fact open as Lovelady turned briefly to his left, revealing the white T–shirt that is visible in James Altgens’s photograph. Another previously unknown film, taken by a television news cameraman a few minutes after 2pm, showed Billy Lovelady in the police station just as the recently arrested Lee Oswald was led past him. This black–and–white film clearly shows that Lovelady was wearing a long–sleeved check shirt with the top few buttons undone, and a white T–shirt underneath. A still frame can be seen here: http://img580.imageshack.us/img580/7896/loveladydpd01.jpg. Photographic evidence proves definitively that at the time of the JFK assassination Billy Lovelady was wearing a long–sleeved check shirt open at the neck, over a white T–shirt. To almost all observers, that shirt matched the one worn by the figure in James Altgens’s photograph. It is now generally agreed that the man on the front steps of the TSBD was Billy Nolan Lovelady, not Lee Harvey Oswald. The House Select Committee on Assassinations analysed the two men’s facial features and shirts, and included in its report a photograph of Lovelady in his check shirt; see HSCA Report , appendix vol.6, pp.286–293. For a good reproduction of Altgens’s image, and for photographs of Oswald’s and Lovelady’s shirts, see Robert Groden, The Killing of a President , Viking Penguin, 1993, pp.186f. For an online comparison of the figure in the photograph and Lovelady, see http://www.spartacus.schoolnet.co.uk/JFKlovelady.htm. 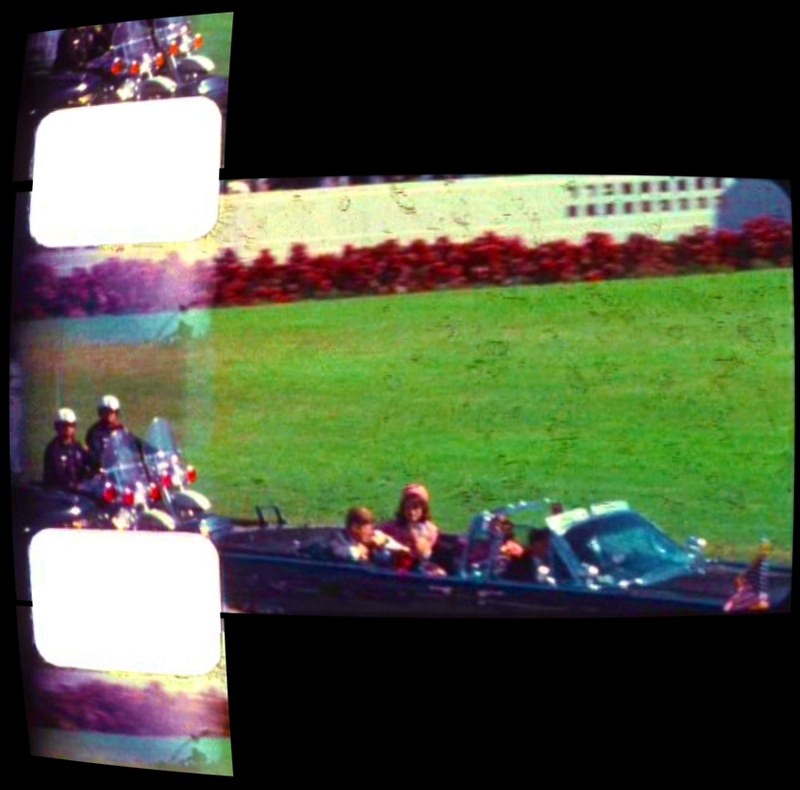 For a recent version of Weisberg’s argument that the man in the doorway was in fact Oswald, see David Wrone, The Zapruder Film: Reframing JFK’s Assassination , University Press of Kansas, 2003, pp.174–180. For an account of James Altgens’s experiences in Dealey Plaza, and a clear reproduction of his famous photograph, see Richard Trask, Pictures of the Pain: Photography and the Assassination of President Kennedy , Yeoman Press, 1994, pp.307–324. Addendum: Is the Altgens Photograph a Fake? John Martin’s home movie and Charles Buck’s news film depict Billy Lovelady wearing a check shirt which, to most observers, is very similar to the shirt worn by the man in the doorway in James Altgens’ photograph. One or two researchers place less weight on the pattern of the shirt in the photograph and point out that other features of the shirt, such as its missing buttons, are similar to features of the shirt worn by Lee Oswald after his arrest. Such differences in interpretation are not unreasonable, given the nature of the photographic medium. Anomalies can often be found in minuscule areas within both negative films and positive prints. A light–toned area can appear dark, and a dark–toned area can appear light. Even in a good–quality print of James Altgens’ photograph, it would not be surprising to find such anomalous details in the figure in the doorway, which occupies only a very small part of the negative. A reproduction of the photograph in a newspaper or magazine can be expected not only to magnify such anomalies but also to introduce new ones. The photographs of Oswald, holding a rifle and brandishing communist literature, taken in the backyard of a house in Neely Street, Dallas, were claimed by Oswald himself to be fakes. The House Select Committee on Assassinations claimed otherwise; see HSCA Report , appendix vol.6, pp.138–214. Allegations that the Zapruder film is a forgery are very poorly supported. In the case of the extant autopsy photographs and X–rays, some of which are inconsistent with the testimony of the pathologists and photographers, the possibility of fraud cannot yet be ruled out. Every detail in a photograph is an exact representation of reality. If anomalies exist, they cannot be due to the nature of the photographic medium, but must be due to fraud. Billy Lovelady’s supposed statement to the FBI, that he was wearing a shirt with vertical stripes on the day of the assassination, must be true, even though Lovelady himself later claimed that he had been misquoted and at least two films independently show that the shirt Lovelady was wearing that day did not have vertical stripes but had a check pattern, just like the shirt in the photograph. The argument goes that since Lovelady was wearing a shirt with vertical stripes, and the figure in the photograph is not wearing a shirt with vertical stripes, the figure cannot be Lovelady. Because the figure’s face looks like Lovelady’s face, and the figure’s shirt looks like Oswald’s shirt, the photograph must have been altered. Unnamed conspirators must somehow have seized the photograph, which originally depicted Oswald in the doorway, and somehow superimposed Lovelady’s face on Oswald’s. Perfectly reasonable explanations exist for all the supposed anomalies in the photograph. The Altgens photograph is consistent with several other films and photographs. If it was altered, those films and photographs must also have been altered, an unreasonable assumption for which there is no independent evidence. There was no opportunity to alter the Altgens photograph. This point is particularly strong, because there is good evidence that the photograph was widely distributed in its current form only half an hour after it was taken. When Was the Altgens Photograph Faked? Immediately after the shooting, Altgens waited for a couple of minutes in Dealey Plaza. He then went quickly to the local office of his photographic agency, Associated Press, which was located a couple of blocks away at the Dallas Morning News building. Altgens handed the camera and film to a technician, who processed the film in a darkroom. The film was developed, washed, fixed, washed again, and dried. Most of these stages would each have taken several minutes. Prints were made from the processed negative roll of film. A contact print, which allows a quick inspection of each frame of the film, would normally be made before enlargements were made of individual frames. Each print would have been exposed, developed, fixed, washed, and dried, a process that takes several minutes. A caption was typed on a small piece of paper, and the piece of paper containing the caption was pasted onto the border of the chosen print. The print, which contained the image and the caption, was scanned and transmitted to other AP offices by telephone wire. Someone grabbed my camera, removed the film and took it in to process it, because they wanted me on the telephone reporting what I saw. We did an extraordinary good job, because wihin 20 minutes of the assassination we had a picture rolling on the wire — and that’s good. All the wires were connected together, which means they got it in Africa and London, all over the world, at the same time that people got it in the U.S. of A. It was fantastic. I saw some of the cable photos that came back in that night, and one or more of the pictures I had taken were on page one of many of the world’s newspapers. The wire transmission took place at 1:03pm, which was perhaps 20 minutes after Altgens’s arrival at the Dallas Morning News building rather than 20 minutes after the assassination. Nevertheless, Altgens is correct to say that it was an achievement to process a roll of film, and then to print and distribute a good–quality image, all in less than half an hour. Even if any conspirators had gained access to the roll of film, a supposition for which there is absolutely no evidence, there was simply no time for those conspirators to manipulate the photograph of the man in the doorway. The case for alteration was made in a series of bizarre and unintentionally hilarious discussions on the Education Forum (there were several threads; see here and here and here for a representative sample of the idiocy on display). Although the motivations of the protagonists can only be guessed at, the mental processes involved were not unlike those which afflict religious fundamentalists. The assertion that Billy Lovelady wore a shirt with vertical stripes was adopted as an incontrovertible article of faith. Trivial imperfections in a tiny area of a poor–quality reproduction were assumed to provide definitive evidence of manipulation, just as the words in a holy text provide the believer with definitive evidence of a deity’s intentions. In the manner of theology, a couple of unreasonable assumptions provided the foundations for a complex series of pure inventions. Imaginative names were given to several of the figures visible in and around the doorway: Black Tie Man, Obfuscated Man, Black Hole Man, Big Afro Hair Woman, and, of course, Doorway Man. As in a long–running sitcom, new characters were eventually introduced, including Headless Man and Wiegman Man. Most of these figures had been manipulated by nefarious conspirators, although it was not felt necessary to describe the precise mechanisms by which these miraculous manipulations were achieved, again following the example of theology. If the unnamed conspirators wanted to prevent suspicion that Oswald was in the doorway, why would they replace his face with that of Lovelady, whose similarity to Oswald was what raised suspicions in the first place? We are convinced that the photograph was altered, so it must have been altered! Why, if Lovelady was wearing a shirt with vertical stripes during the assassination, does the WFAA–TV film show him sitting down at the police station, wearing a check shirt? Lovelady isn’t sitting down! The conspirators messed up when they pasted him in! They made him look like a midget! This is clear proof that the film is a fake! If James Altgens’ photograph is a fake, why is it consistent with John Martin’s film, which shows Lovelady wearing a check shirt? This proves that the Martin film is a fake too! And the fact that the Altgens photograph agrees with the faked Martin film proves that the Altgens photograph is a fake! How was the alteration achieved in the very limited time available? The details aren’t important! We are convinced that the photograph was altered; therefore the photograph must have been altered; therefore it must have been possible to alter the photograph! Where did the conspirators perform the alteration to the Altgens photograph? There was a large van parked on the edge of Dealey Plaza! The van must have been a mobile photographic laboratory! You can’t prove that it wasn’t! Several contributors expressed the thought that surely occurred to most readers of the discussions: “how on earth can anyone believe this nonsense?” The most charitable explanation is that the whole thing was a hoax, a joke at the expense of those who genuinely want to find out the truth about the assassination. It isn’t a hoax! I really do feel the need to believe in all–powerful beings that can manipulate photographs with a click of their fingers! That’s how the world works! Who Saw Oswald in the TSBD Sixth–Floor Window?